Almost a century ago, there was a man named Val Hicks that sold equipment to make blinds and shades. He developed a unique friendship with one of his customers down in Corpus Christi, TX named Gus Gustafson. The two men would go hunting together and enjoyed good jokes and a stiff drink. Eventually, their families became close as well. Val’s son, Ray, and Gus’s daughter, Priscilla, soon married and started their own blind manufacturing plant in 1980. (We like to say they met on a blind date…dahduhduhm) The company, focused on quality and customer service, quickly grew to 350 employees in 3 different locations and was the largest manufacturer of window coverings in the country. Ray & Priscilla had a daughter, Darby (that’s me!) who was two when they started the business and a son, Devin, several years later. The kids would spend a lot of time in the manufacturing plants. Whether they were sorting tassels by color, attending the many Christmas parties each year or heading on trip promotions with dozens of customers, the family was consumed with the business. After graduating from Southwest Texas in 1999, Darby joined the family business full time and truly enjoyed the manufacturing side of the business. She led a crew of about 100 and would train them on how to work the equipment and assemble window coverings. Her brother, Devin, also joined the family business after graduating from college. At the time, Darby and her husband were raising a son. Darby found herself working her son’s life away and it quickly became apparent that running a large business and being a mother was a huge struggle. 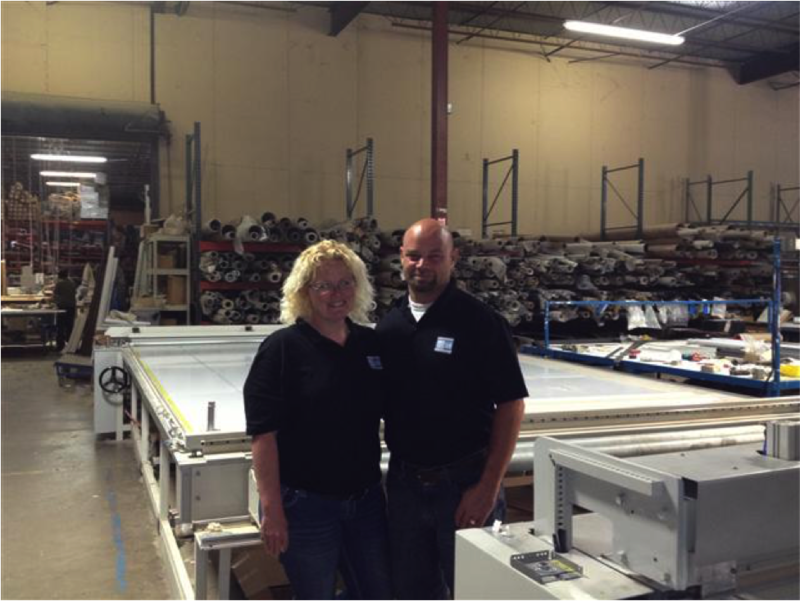 After a lot of prayer, Darby went to her family and told them that she needed to focus on her son and would be leaving the family business to start her own window covering retail business. She vowed to be their best customer as she knew the products inside & out and would pay her bills. Thus, in 2007 Blind Faith was established as a shop at home retail business focused on the same principles her parents started their business with, outstanding customer service and high quality products. Over the last eight years, Darby has continued to focus on her customers’ needs by expanding her product offering to include draperies, bedding and cushions along with the blinds, shades and shutters she already knew so well. In 2009, her fiancé, Trey Meyer, who was a third generation HVAC professional, joined her team to provide exceptional installation services. The team has continued to be blessed with amazing customers and Blind Faith is pleased to announce the opening of our first retail location in Jonestown, TX. By having a brick & mortar location, customers can now come to search through thousands of fabric samples and operate our many display blinds, shades and shutters to get a better idea of how they will look in their own home. Of course, Blind Faith continues to provide complimentary in home consultations, but we hope that having a retail location will also provide a sense of comfort to our customer base. We hope you’ll consider working with the Blind Faith family for you’re next window covering project.